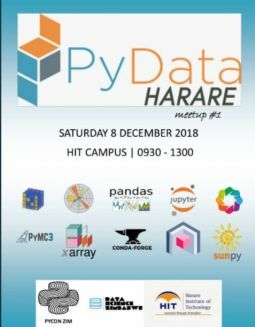 PyData Harare is partnering with Data Science Zimbabwe, Harare Institute of Technology (HIT) and Pycon Zim to hold their first meetup on the 8th of December. The PyData meetup is probably going to be quite interesting if you are interested in Python, data science or machine learning. Best of all it’s a free meetup so there’s nothing to lose in attending. PyData is an educational program of NumFocus, a United States-based non-profit charity organization promoting the use of accessible and reproducible computing in science and technology. NumFocus is the house of projects on, amongst others; Pandas, Numpy, Bokeh (Python language packages) and Julia language. 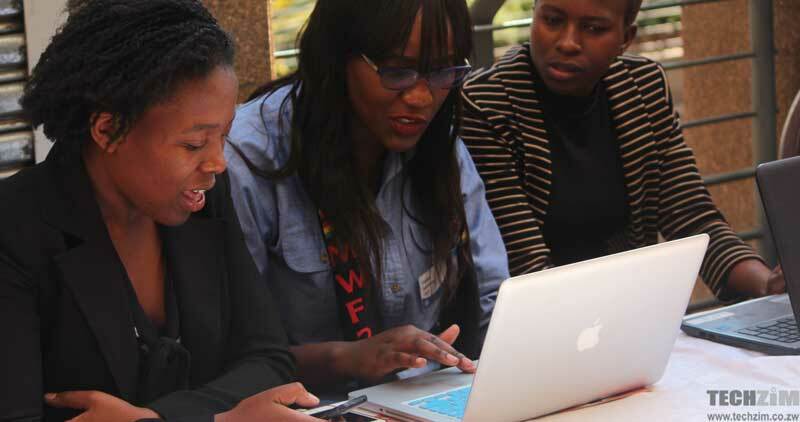 PyCon Zim hosts an annual conference that gives both seasoned and new python programmers an opportunity to share knowledge, learn about new technologies, contribute to technologies they use and above all network with other developers. Data Science Zimbabwe is a platform for all Zimbabweans interested in data science, machine and deep learning, artificial intelligence amongst other 4th Industrial Revolution technologies. The group aims to solidify linkages between academia and industry (corporate and non-corporate practitioners) as well as influence policy that impacts on Zimbabweans’ ability to solve the problems in our society. So what’s the point of this meetup? The meetup’s main agenda is to introduce and create the communities of data scientists, developers, computing engineers in Zimbabwe, with a special goal of highlighting NumFocus’ work on tools that could be useful in their work. The organisers of this meetup also want to use the opportunity to foster networking and by extension, promote collaboration amongst Zimbabweans in the fields stated be it in academia or industry whilst setting the discourse for the promotion and sustainability of the disciplines in Zimbabwe. We hope this meetup and subsequent ones will make the communities visible, not only to Zimbabwe but to the world at large. Where is the meetup being hosted?